From the studio that brought you Pearl Harbor ... Academy Award(R) winner Billy Bob Thornton, Dennis Quaid, and Jason Patric team up for the acclaimed action epic about one of the most important events in American history! It's the heroic tale of the 200 brave men who made the ultimate sacrifice in the name of freedom defending a small Texas fort for 13 days against an entire army! Commanded by three men - Lt. Col. William Travis (Patrick Wilson), James Bowie (Patric), and David Crockett (Thornton) - their against-all-odds courage at the Alamo would forever live on as a rallying cry for liberty and independence! $9.124 million on 2609 screens. Occasionally a movie misses its original release date and still manages to prosper. 1997’s megahit Titanic remains the most notable exception to this rule. The folks behind 2004’s The Alamo hoped their delayed production would be another Titanic, but instead it flopped. With a budget of $95 million, The Alamo grossed a mere $22 million at the box office. Ouch! A text introduction informs us of the long history of battle at the Alamo and the flick then shows us the aftermath of a conflict. News of this reaches Sam Houston (Dennis Quaid), who prays before we jump back a year to 1835. We see Houston in Washington DC and watch him act as a huckster who tries to sell people interests back in Texas. At the same stage production, we encounter Davy Crockett (Billy Bob Thornton), who chats with Houston. Sam tries to convince Crockett to come to Texas and join the militia. Back in San Felipe Texas, the white locals buck against the influence of Mexican General Santa Anna (Emilio Echevarria). Houston tries to talk sense into the rebellious citizens but just roils things further. When the discussion almost comes to blows, Houston’s friend Jim Bowie (Jason Patric) arrives and intercedes on Sam’s behalf. Lt. Colonel William Travis (Patrick Wilson) shows up next, as he comes to take charge of the Alamo’s defense even though the Mexicans apparently pose no immediate threat. The movie takes a little time to inform us of their backstories and personal issues. We then watch Bowie and Travis as they separately head into San Antonio and wind up at the Alamo. Not in the best shape, we get a tour of the location and see some of the efforts to bring it up to snuff. We hear that the Alamo acts as the last defense for the white Texans against the army of Santa Anna, and Travis receives the charge to command its soldiers. Travis runs the regular army while Bowie leads the militia, and the two sides don’t much like each other. That attitude becomes embodied by the antagonism between the sloppy Bowie and the uptight Travis. After he loses re-election to Congress, Crockett joins them and winds up in San Antonio. Thus the film sets the stage for the defense of the Alamo. We watch as Santa Anna leads his battalions inexorably toward San Antonio and get a feel for life in the sleepy days prior to the fight. The Mexican army soon rolls into town, and the locals realize how undermanned they are. Bowie and Travis disagree some more as the story heads toward a full-on fight for the Alamo. We view the growth of the relationships as well as developments that involve an army commanded by Houston. Anyone who enters The Alamo with the expectation that they’ll get a better understanding of the legendary conflict will leave disappointed. Instead, the flick presents a simplistic look at the events and doesn’t much bother to investigate its roots and causes. The movie depicts the battle as a basic good vs. evil tale and doesn’t attempt greater shading than that. Perhaps it’s too much to expect a feature film to explore these topics in depth, but I think The Alamo could have made a greater attempt. As it stands, we get very little feel for motivations and investment. The movie throws out a vague concept that if the white folks don’t stop Santa Anna at the Alamo, he would overrun the rest of Texas, and that’s about it. This largely ignores the involvement of the natives in the events, and it also leaves matters as excessively uncomplicated. The flick doesn’t want to burden the viewer with the need to think and ponder the issues; it prefers to tug at heartstrings and evoke basic emotional reactions. Though the film focuses primarily on Crockett, Travis and Bowie, it fails to explore the personalities well. Crockett probably receives the best depiction, though that stems largely from the consistently solid Thornton. As an actor, he’s pretty much money in the bank, and he brings depth and dimensionality to his otherwise underdeveloped character. 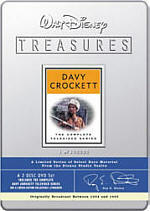 He goes beyond the myth and evokes Crockett’s humanity in his performance. For the most part, though, the roles stay generic and without much life. We get a vague understanding of their traits and concerns but not much more. It doesn’t help that the film develops the relationships in a basic and predictable manner. When we see the initial antagonism between Travis and Bowie, does it seem anything but inevitable that they’ll eventually earn grudging respect and admiration for each other? Granted, the film has limited potential for surprises since it comes based on reality, but it’d have been nice to see something less conventional. Not even the battle scenes develop into anything tremendously involving. The climactic fight works out reasonably well but fails to make much of an impact. Frankly, that’s the biggest problem overall with The Alamo. A respectful and competent exploration of the famous event, it lacks the context to make it work as satisfying history, and it doesn’t present enough character breadth and life to create an engaging drama. The battle sequences add minor pizzazz at best. I wouldn’t call The Alamo a bad movie, but it comes across as relentlessly average. Sharpness mostly appeared fine. Some softness interfered with wider shots, but nothing too heavy marred the presentation. For the most part, the flick seemed concise and distinctive. Jagged edges and shimmering weren’t an issue, but mild edge enhancement caused more minor haloes than I’d like. As for source flaws, the movie lacked any defects and seemed quite clean and fresh. As befit a period piece like this, the palette took on a moderately golden tint. Within those slight constraints, the colors consistently came across as warm and vivid. No problems with bleeding or noise occurred, as the hues were tight and lively. Blacks also came across as deep and dense, and shadows were fairly clean and smooth, though a couple of low-light shots were slightly dense. While the transfer didn’t dazzle me, it rarely disappointed me either. For the Dolby Digital 5.1 soundtrack of The Alamo, we found a very satisfying piece. The soundfield seemed expansive and engaging throughout most of the film, with audio placed precisely in the environment. All five channels appeared quite active, and they also blended together smoothly and cleanly; sounds moved between speakers naturally and the entire package created a strong soundstage. Not surprisingly, the battle sequences stood out as the best. These provided the broadest environment and the most distinctive uses of sound. Gunfire flied around me and I felt totally involved in the fights. The track also maintained nicely effective ambiance during quieter moments, and the entire package seemed engaging. Audio quality also appeared excellent. Dialogue came across as distinct and natural, with no problems related to intelligibility or edginess. Music sounded clear and smooth, with good clarity and range. Of course, those fight segments sounded the best. The mix provided clean and accurate effects that packed a solid punch. Though the track became filled with the sounds of warfare, these elements never displayed any hints of distortion or shrillness. They seemed clear and detailed and presented some deep bass as well; the low end on this DVD could be quite rich. Ultimately, The Alamo offered a fine auditory experience. For some bizarre reason, Disney has decided it doesn’t want buyers to know about all the extras on its DVDs. As with Home on the Range, we get an audio commentary for The Alamo, but nothing on the packaging mentions this. We dig up a track that includes remarks from historians Alan Huffines and Stephen Hardin, both of whom sit together for their running, screen-specific chat. They go over topics related to both the history of the event as well as the making of the movie. Both men acted as technical consultants on the film, so they let us know aspects of the production. They also get into the realities behind the story, liberties taken, and background for elements not depicted onscreen. 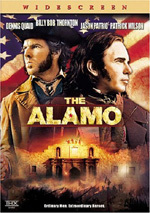 At times the guys come across as a little too attached to the movie, as this limits their objectivity toward it, but they nonetheless present a lot of good information about the reality of the Alamo and the shooting of the flick. After this we locate Return of the Legend: The Making of The Alamo, an 18-minute and seven-second featurette. We get the standard mix of movie clips, shots from the set, and interviews. We hear from Huffines, director/co-writer John Lee Hancock, actors Billy Bob Thornton, Jason Patric, Dennis Quaid, Patrick Wilson, Mauricio Zatarain, Michael Murillo, Frank Matthews, Larry Cashion, BJ Smith, and Joseph Perez, production designer Michael Corenbluth, set decorator Carla Curry, producer Mark Johnson, costume designer Daniel Orlandi, property master Don Miloyevich, re-enactment coordinator JR Flournoy, master armourer R. Vern Crofoot, lead wrangler Curtis Akin, armourer Brian F. Maynard, prop shop supervisor James Roberts II, special effects coordinator Larz Anderson, special effects technician Robert Trevino, director of photography Dean Semler, camer operator Mark O’Kane, hardware technician and rigger Matt Davis, Spydercam coordinator Tim Drnec, and Spydercam supervisor Todd “Hammer” Semmes. They talk about the movie’s sets, costumes and props, battle recreation and training, animals, weapons, explosives, photographic choices and digital effects. Don’t expect much depth from this discussion, as it appears to exist for one reason: to convince us how authentically Alamo recreates the real experience. This means some useful tidbits on occasion, and we do get a reasonable feel for the methods used. However, it flits through the subjects rapidly and largely comes across as laudatory and little else. Another featurette comes to us via the six-minute and 17-second Deep in the Heart of Texans. It includes statements from Johnson, Thornton, Hancock, Quaid, Corenbluth, Patric, Akin, Matthews, Alamo historian and curator Bruce Winders, extras Cid Galindo, and Wayne Evans. They discuss the desire to shoot in Texas and make things as real as possible. We learn of some efforts made in that vein plus personal connections of some extras. As with the prior piece, a couple of moderately interesting morsels slip through, but not many. Instead, the program leaves an impression that it wants to impress us more than educate us. For our final featurette, we find Walking in the Footsteps of Heroes. It goes for 11 minutes and 43 seconds as it presents remarks from Quaid, Hancock, Wilson, Patric, Winders, Hardin,Thornton, novelist Steve Harrigan, and Alamo historian Paul Hutton. This show looks at the history behind the characters. It tosses out some quick production and casting notes, but mainly it offers short biographical sketches of Crockett, Houston, Travis and Bowie. After two consecutive fluffy features, this one comes as a minor relief. It doesn’t provide deep insights into the various personalities, but it fleshes them out decently and gives us a pretty concise recap of the leaders. Five Deleted Scenes appear next. They fill a total of six minutes, 26 seconds. The main component here comes from a few scenes that depict the marriage of Santa Anna, and we get others that flesh out the characters mildly. They’re interesting to see but not exceptional. We can watch these with or without commentary from Hancock. 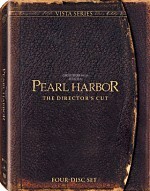 He presents a good discussion about why he cut the pieces along with notes about how they would have fit into the film. At the start of the disc, we encounter a mix of ads. We find trailers for Raising Helen and Around the World in 80 Days. These also appear in the disc’s Sneak Peeks domain along with promos for Hero and Alias. The Alamo also features the THX Optimizer. Also found on many other DVDs, this purports to help you set up your system for the best reproduction of both picture and sound, ala stand-alone programs such as Video Essentials. I’ve never tried the Optimizer since I’m happy with my settings, but if you don’t own something such as Essentials, the Optimizer may help you improve picture and audio quality. Competent but uninspired, The Alamo never takes flight. The movie possesses a number of good ingredients that fail to mix together into something satisfying. The DVD offers very positive picture and audio plus supplements highlighted by a moderately useful audio commentary. 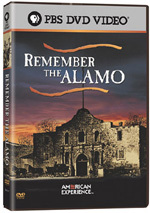 As a DVD, The Alamo is fairly good, but the movie lacks much to make it stick.